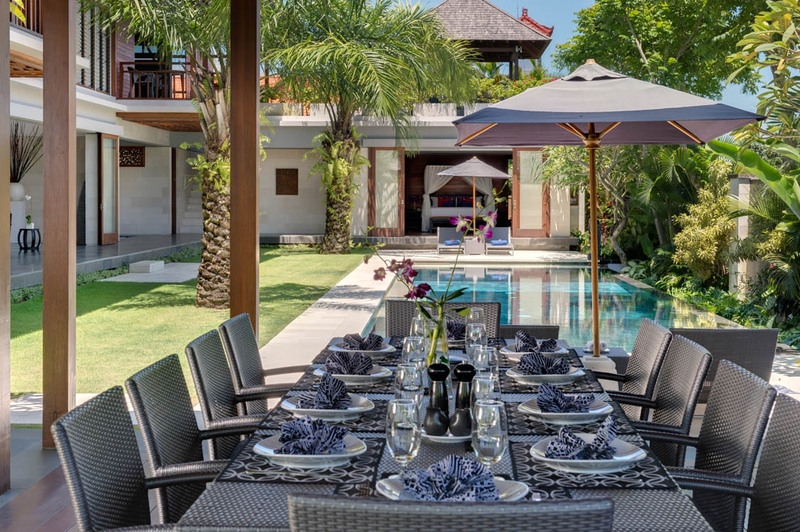 From $ 818AUD per night We have direct contracts with most villa owners. We don't add any booking fees. We are 100% transparent with no nasty surprises. 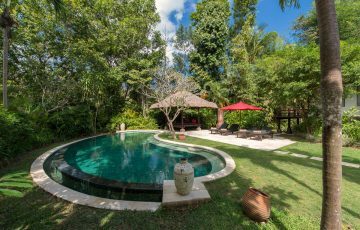 ONLY 5 min walk to Canggu beach & cafes - rent this today! 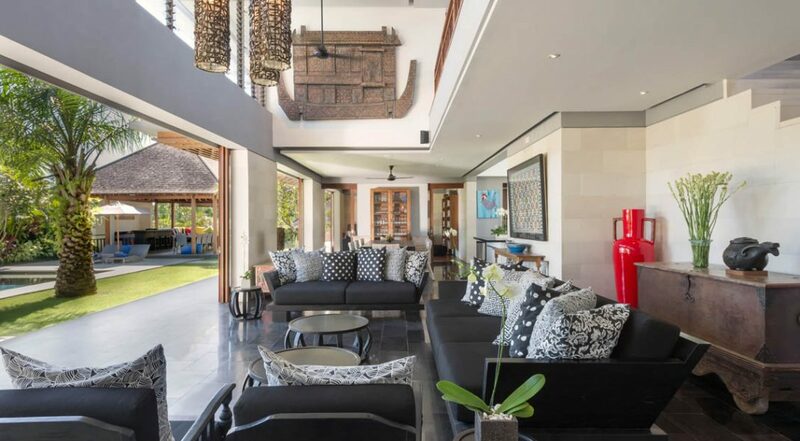 Villa Bendega Rato is possibly one of the best and most luxurious 3 bedroom Canggu villa holiday rentals and certainly offering an exceptional amount of indoor and outdoor living space, Villa Bendega Rato features exceptional furnishings, fittings and finishings. 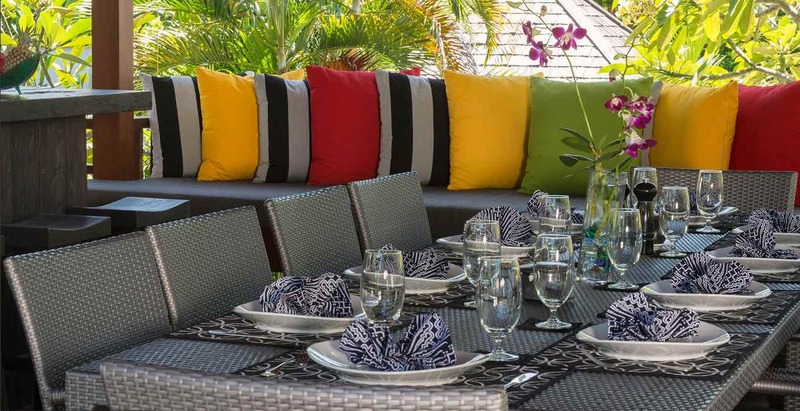 The outdoor bale at poolside is an exceptional outdoor entertainment area as is the sunset deck at rooftop. 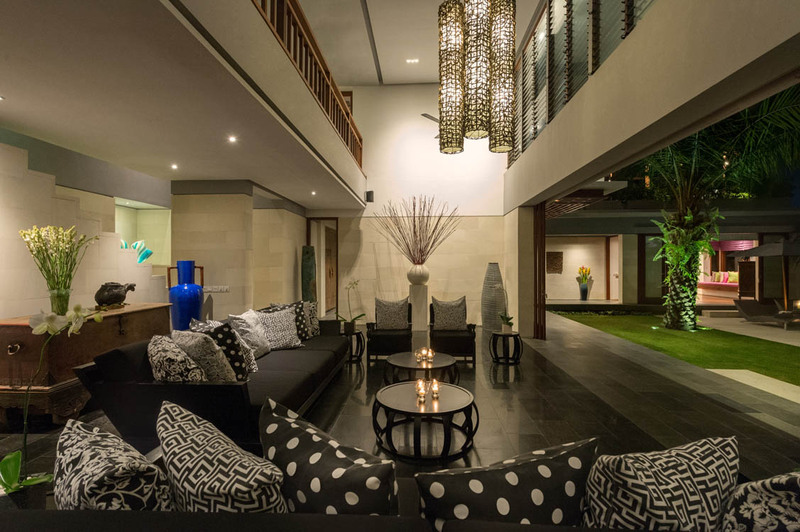 Located just one street back from the most happening strip in Canggu, guests can easily access Canggu’s best beaches and Beach Clubs. 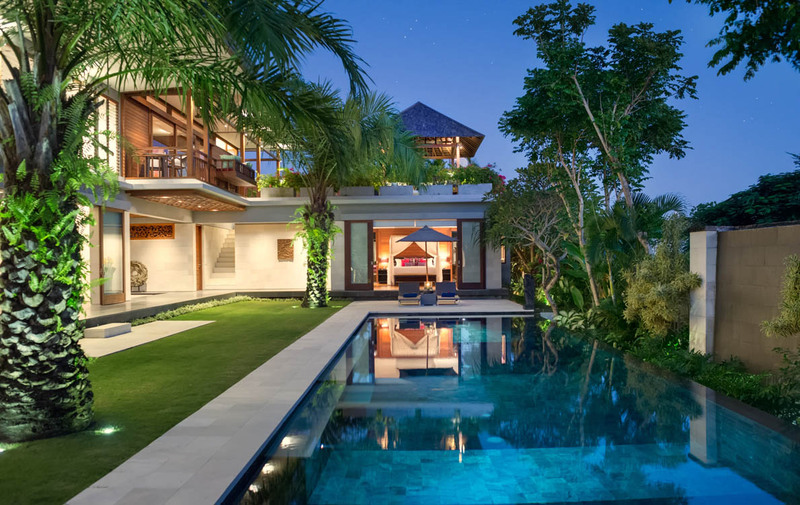 The huge rectangular shaped pool runs alongside the high perimeter fence with lots of tropical plants and flowers, a manicured lawn with huge tropical palms separates the pool from the main living pavilion. 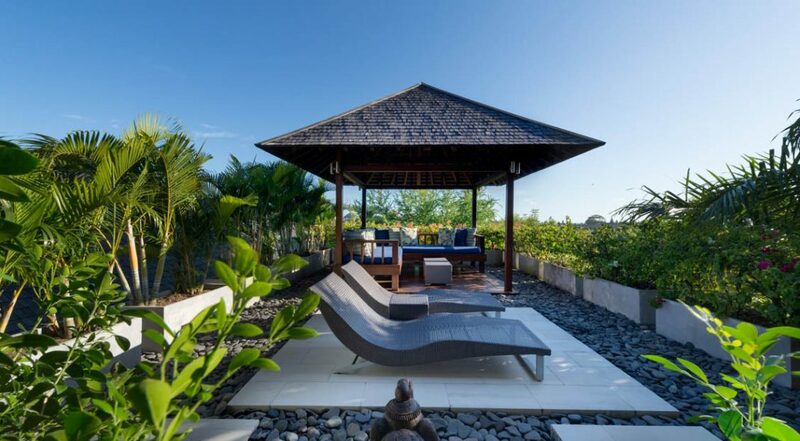 A comfortable bale/gazebo at the end of the pool invites you to curl up for an afternoon siesta or enjoy alfresco dining. 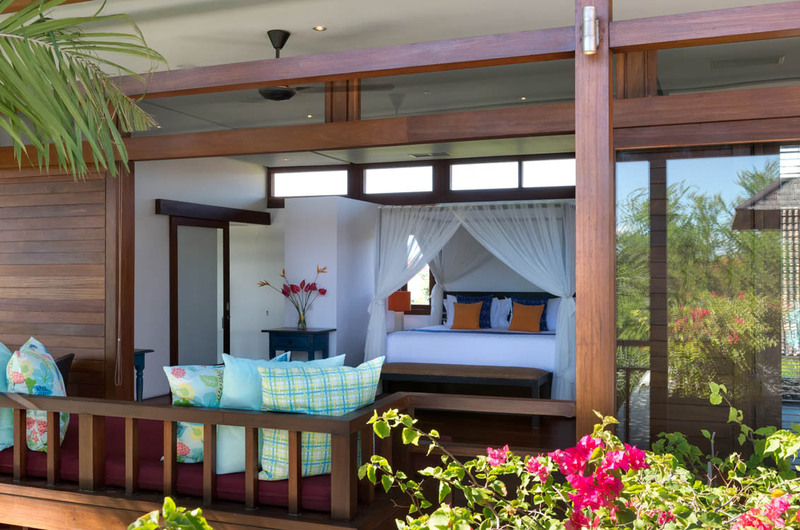 And upstairs the sun deck features a comfortable gazebo and sun lounges to enjoy the dazzling sunsets and surrounding views. 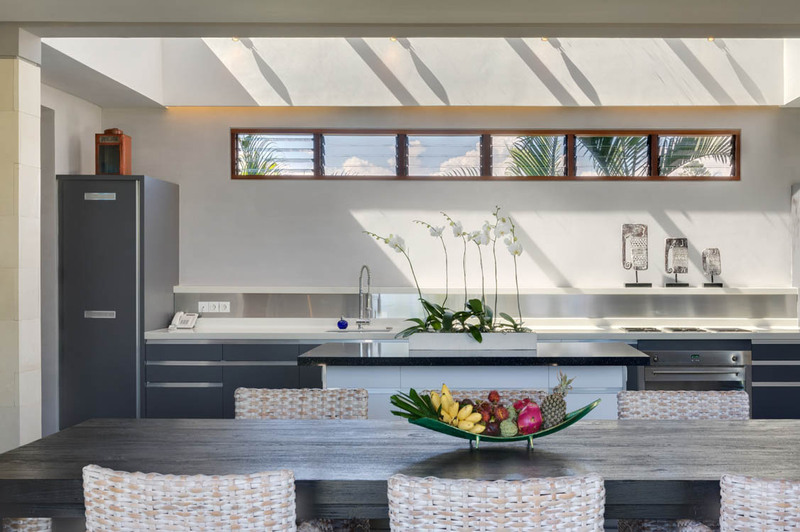 The downstairs living area is right by the pool with huge sliding glass doors guests can enjoy air-conditioned comfort or local sea breezes. 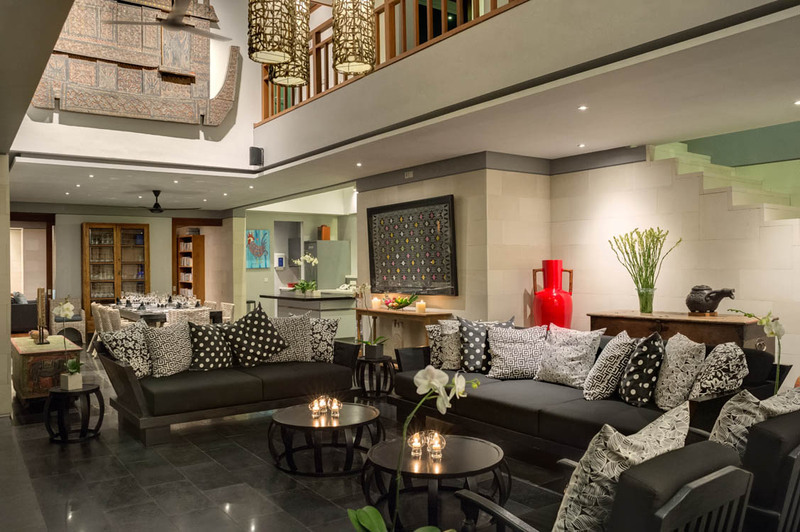 A lofty double height ceiling hangs above the stylish lounge area featuring a stylish couch with designer cushions. 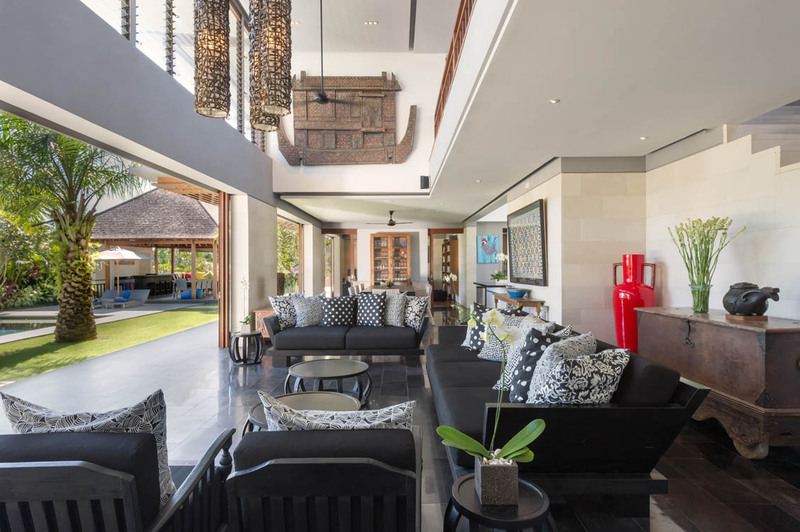 The flooring is polished and cool, hues of grey and timber ornaments and artworks make a classy statement. 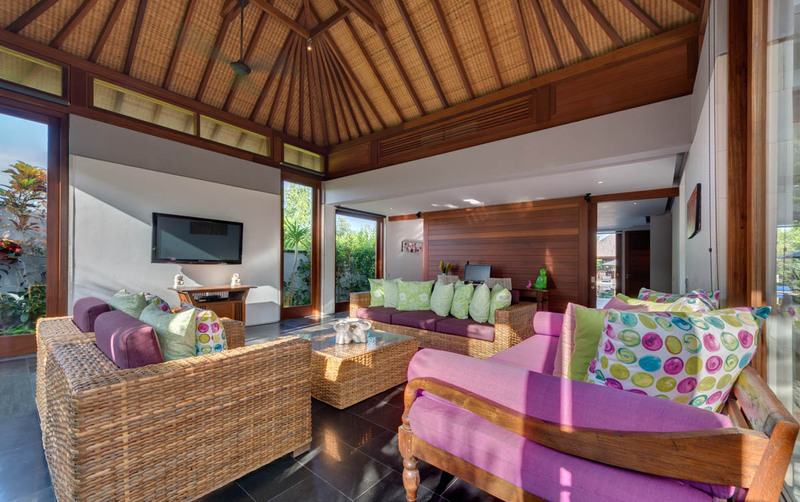 There is a separate media room with large rattan sofas decorated with plush pink cushions, ultra comfort in mind here. 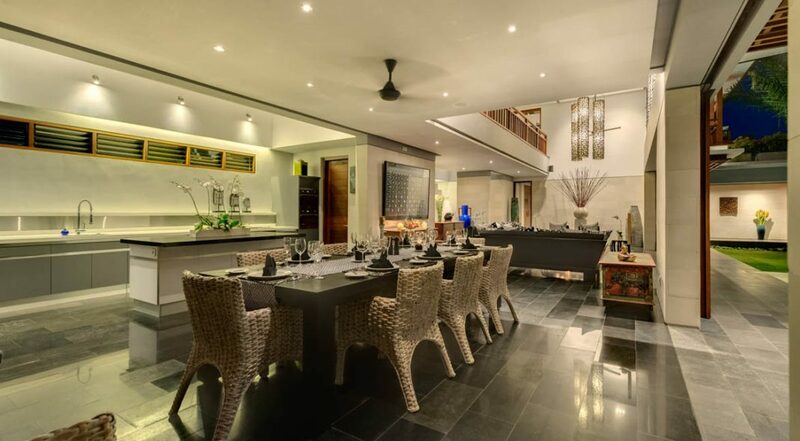 A sleek dining table seats 8 guests set in front of the ultra modern kitchen. 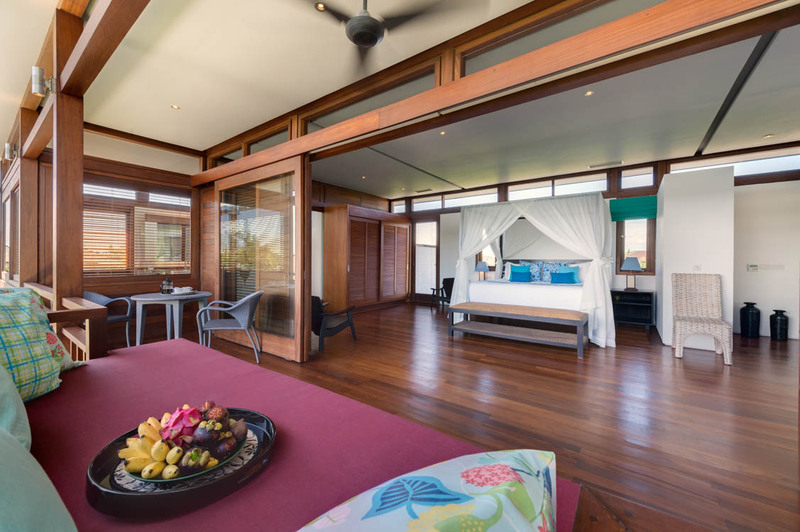 Three huge and stunning private bedroom suites are beautifully appointed with king size four poster canopied beds, rich timber floors and large sliding doors open to private balconies and patios. 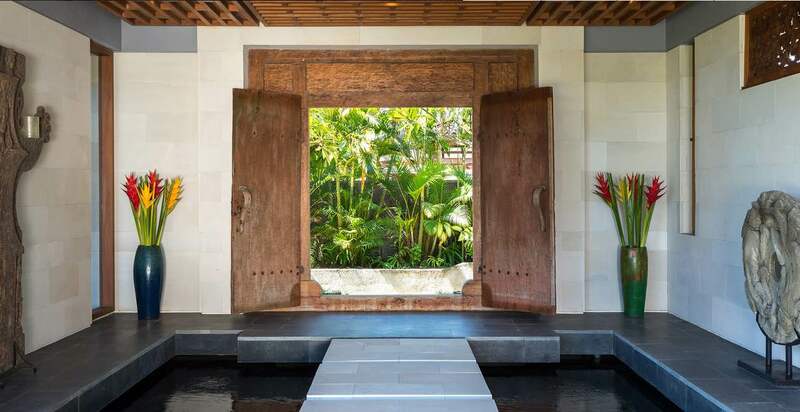 They feature every modern amenity and the en-suite bathrooms with matching white vanities, soaking tubs and rain showers offer a luxuriant bathing affair. 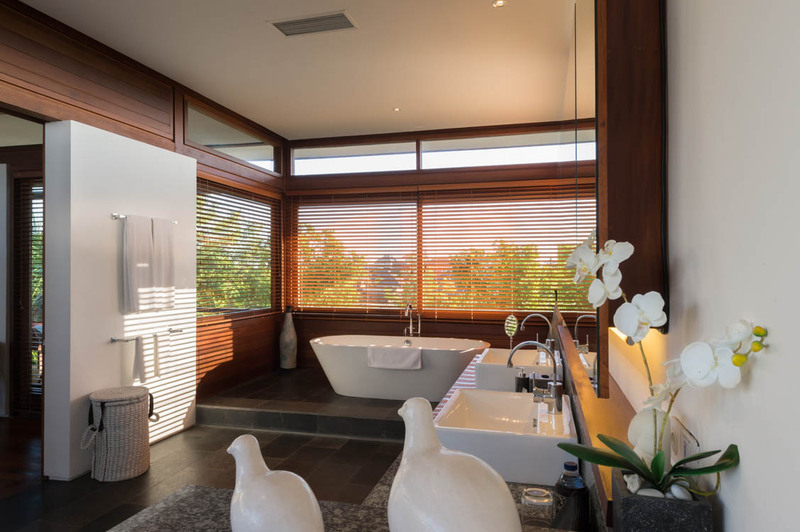 Stylish timber louvers and local stone surfaces add to the opulence of these minimalist bathrooms. 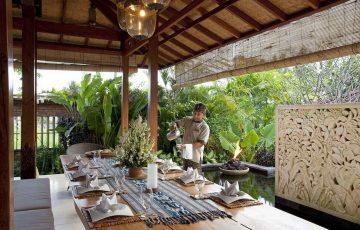 Guests can expect to be well looked after by the professionally trained Balinese staff at Villa Bendega Rato. 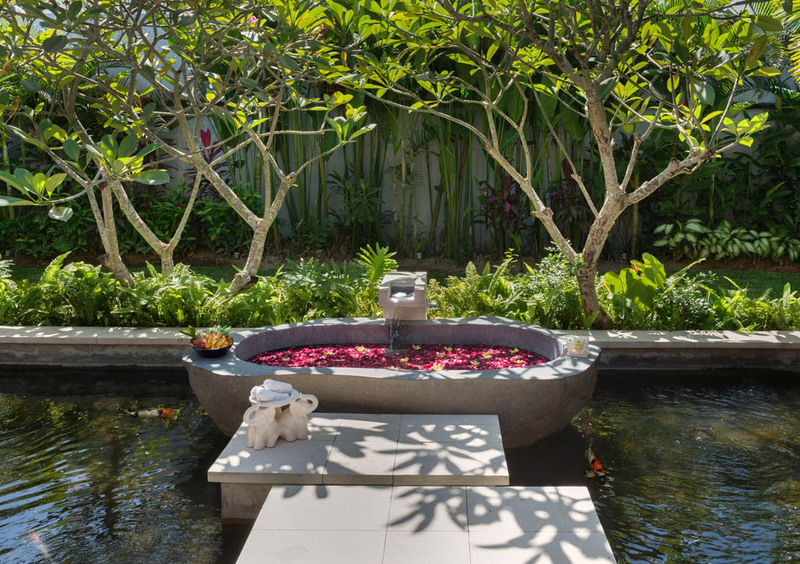 Your villa manager will make sure that everything runs like clockwork, holiday time that is. Awake to a pre-ordered breakfast prepared by the chef and served by the butlers. 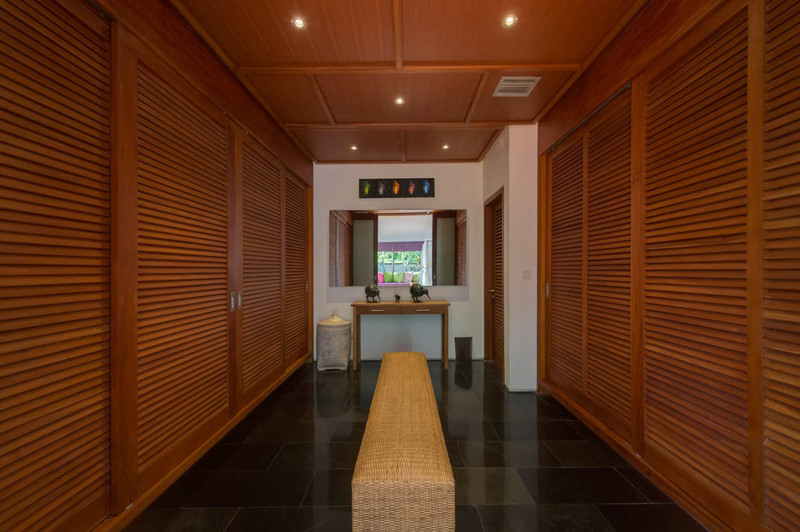 The villa will be cleaned daily by the housekeeping staff and the 24 hour security detail will ensure your personal security at all times. 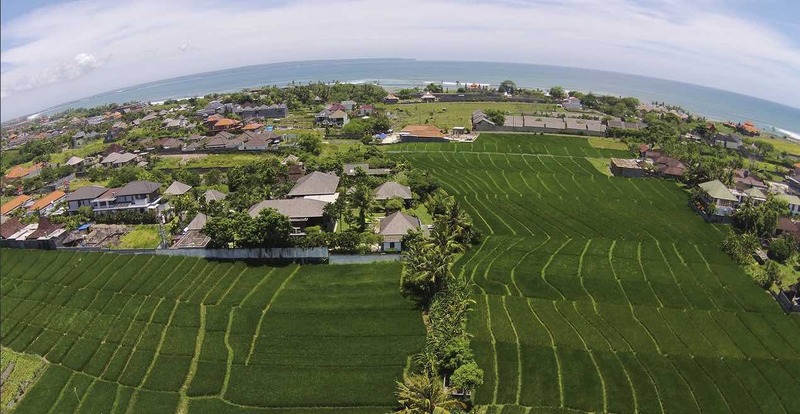 The villa is just a couple of minutes by car or scooter to Batu Bolong Beach where you can find a multitude of hip cafes, restaurants and brand new boutiques. Beetlenut, Deus and Old Man’s are just a few places you are sure to enjoy. Echo Beach with great surf and excellent seafood BBQ’s are nearby as well. 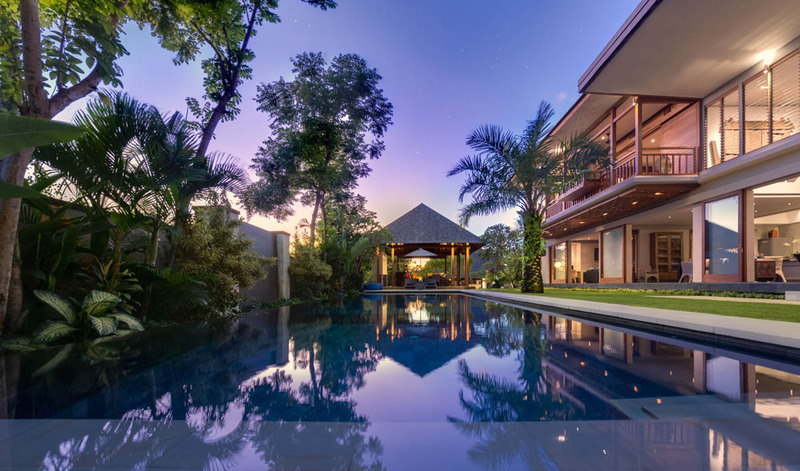 Seminyak and its vibrant and colorful streets and restaurants, amazing cafes & beach clubs are only 15 minutes from the villa. 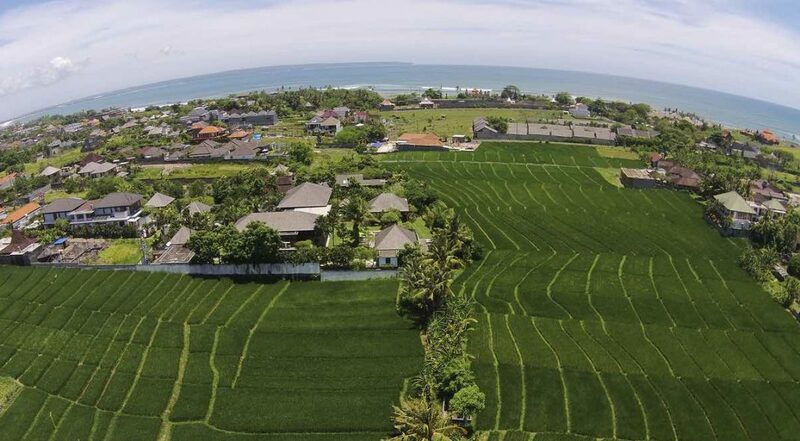 To view other gorgeous Canggu Villas or more family friendly Bali Villas please browse this website or contact our reservation team. 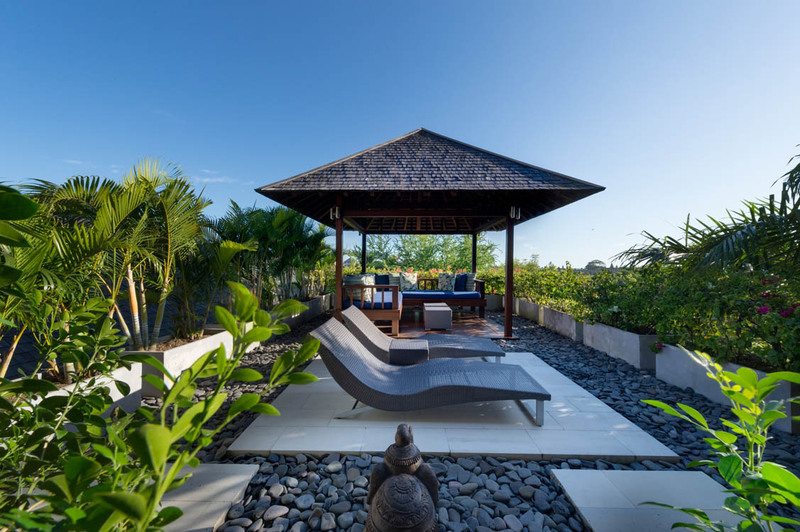 This is a popular Canggu villa so please book Villa Bendega Rato well in advance especially if your planning a trip to Bali during the Australian school or public holidays. 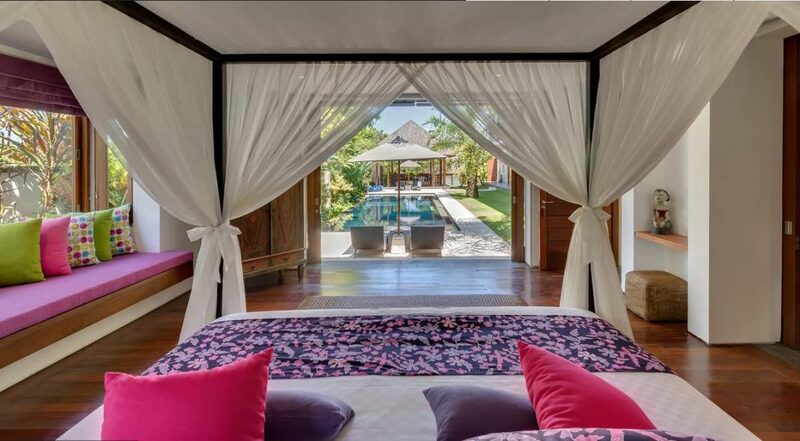 Everything about the villa was as we wanted it to be. We came here with 2 families and there were 8 of us in total. The kids loved the pool area and us adults found the villa accommodation, facilities and staff exceptional. 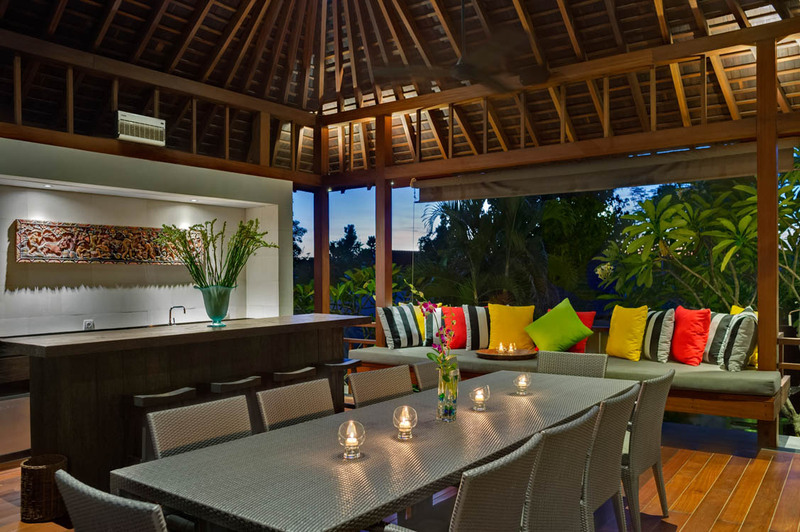 The last couple of trips to Bali have all been in a hotel and this was our first time staying in a villa. Great choice - we will certainly be coming back. 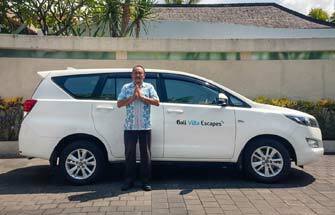 A huge thanks to Dewi & Yuayk at Bali Villa Escapes for organising this for us - we easily give this villa a 10 out of 10! 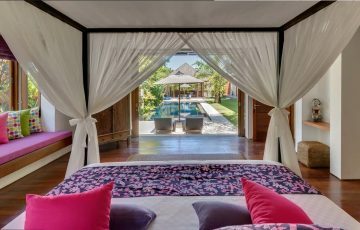 Our experience at this villa was far better than we expected. It was very refreshing, quiet, clean, spacious and beautiful. 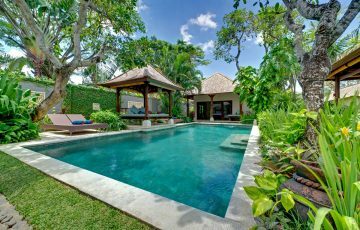 The children had a great time by the pool and I just enjoyed my downtime, relaxing in the garden and soaking up the wonderful villa ambiance. My husband was thrilled as he was still able to get some work due to the quick internet and office facilities. We were pleased with everything and definitely had an incredible time here. 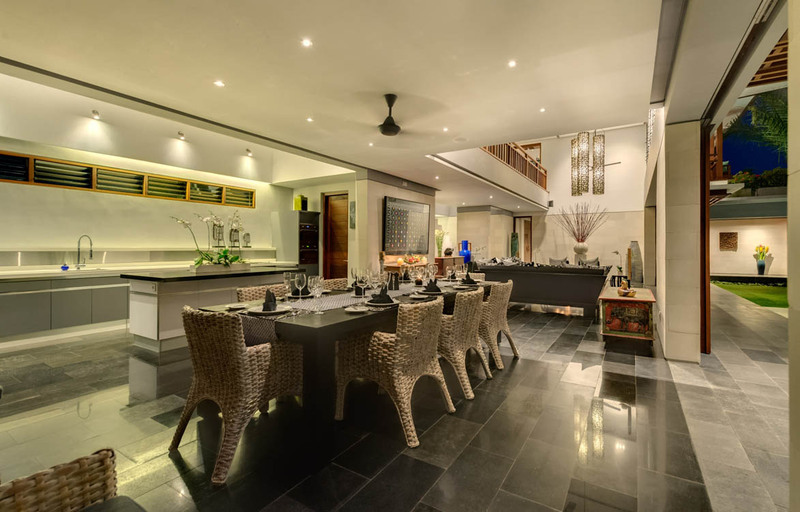 This is luxury on a grand scale and the family loved every moment. Highly recommend this for any family wanting a little bit of luxury on their holiday. 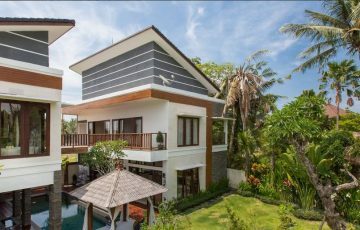 This villa offered me the type of relaxing retreat I have been looking for on my holiday. I was here for 5 days with a couple of friends and I must say we weren’t disappointed. From the pleasant staff, to the great location, superb facilities and lovely atmosphere, everything was just fantastic. 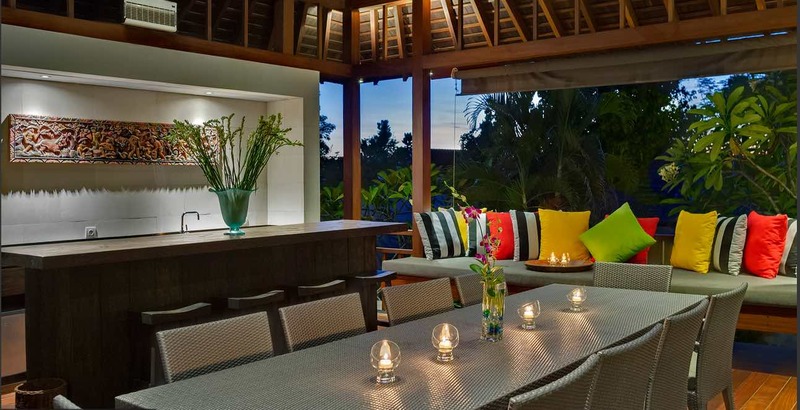 In the evenings, we either went into the Canggu's main restaurant area in Batu Bolong or hung out in the rooftop terrace (we especially loved that part with a few cold Bintangs) - I felt relaxed and comfortable throughout my stay. I wish I could have extended it. 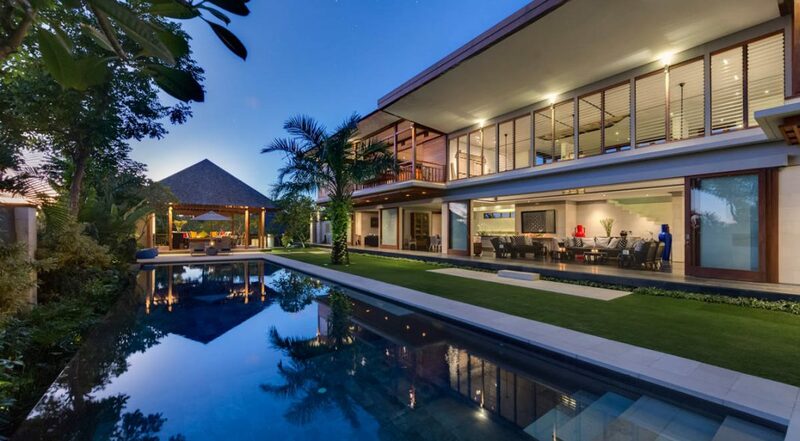 Definitely a stunning villa. 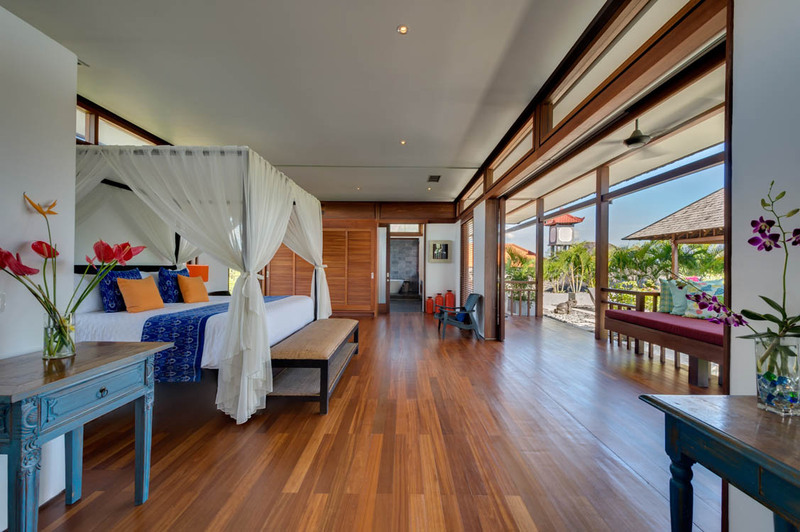 This was our second time staying here and the reason for this is simple; we love it here! Amazing location, world class facilities & lovely staff. 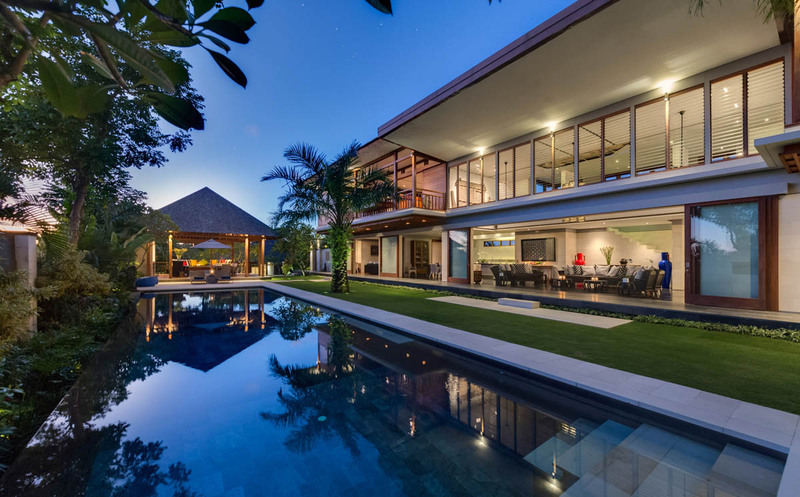 Spacious and modern villa with a glamorous setting in Canggu - can't rate this highly enough. 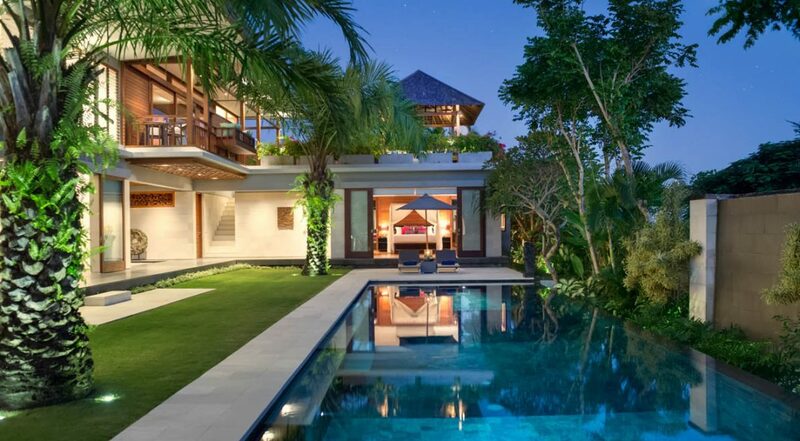 Luxurious villa with the best customer service. 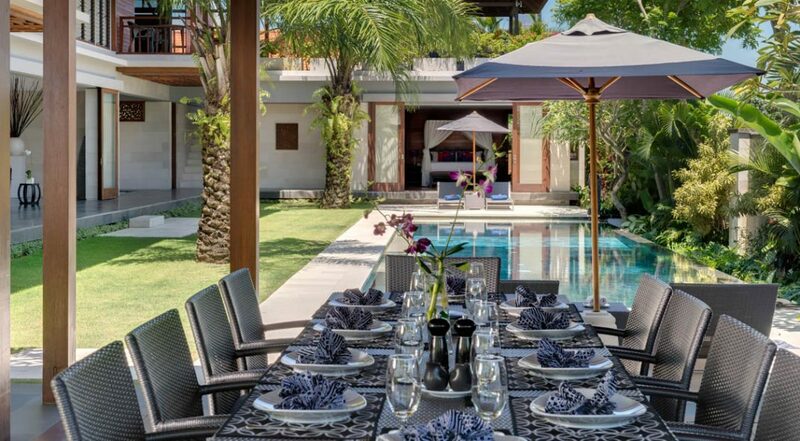 Wonderful villa, amazing location, great staff......what else can I say except 10 out of 10! !